Almost all the fishes sold in aquarium stores originate from the tropical regions, and they require heated aquariums. In case you want to set up an unheated aquarium, you will find that some tropical fishes need a lower temperature in the aquarium for maintaining their living conditions. Well, for the beginners in aquarium hobbyists, it’s essential to look for fishes which are cold water fish. Researches show that cold water pet fish is found easily in fish markets and they can also thrive well in pond water. Most important is that you should look for fish that don’t need a heater. Almost all the fishes sold in aquarium stores originate from the tropical regions, and they required aquariums which are heated. In case you want to set up an unheated aquarium, you will find that some tropical fishes need a lower temperature in the aquarium for maintaining their living conditions. Well, for the beginners in aquarium hobbyists, it’s essential to look for fishes which are cold water fish. Researches show that cold water pet fish is found easily in fish markets and they can also thrive well in pond water. Most important is that you should look for fish that don’t need a heater. Let’s now check out 13 most easy coldwater aquarium fishes for hobbyists. Let’s now check out 13 most easy coldwater aquarium fishes for hobbyists. These fishes are easy to maintain especially for the beginner aquarists. They prefer to thrive in an environment where the temperature is 60-70 degree Fahrenheit. While in the wild, they are found in shallow streams having good vegetation with low or moderate flow. They prefer to thrive in a group of six and can exist in an aquarium having a minimum of 15 gallons of water. 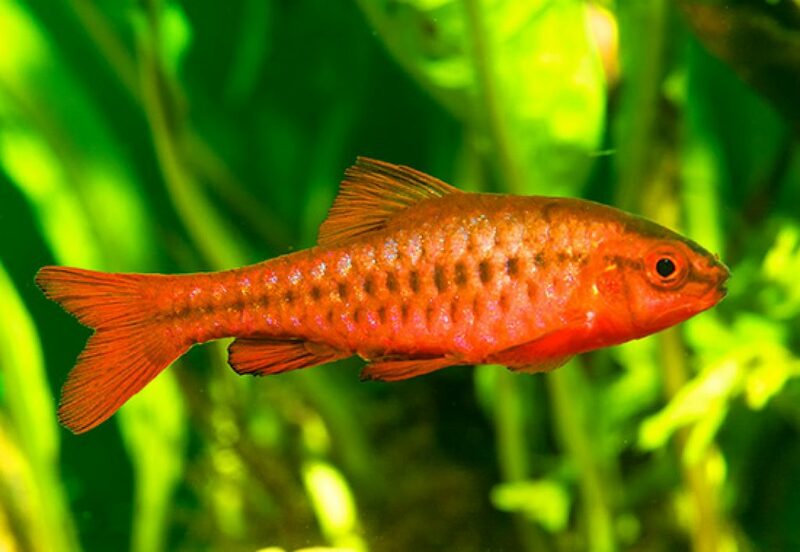 Carnivorous by habit, these fishes prefer water having PH around 6-7 and grow till 3 cms in length. The substrate of the aquarium should be kept dark sandy with pebbles. They are easy breeders. The mating pair generally lives with zero parental care to the young. Since they are not aggressive about eating their young ones, the fries are kept to survive. The tank should be provided with spawning mops and clumps of plants. Gentle filtration preferably sponge filters are allowed. Live foods are preferred for conditioning. Well, generally two methods of breeding are preferred. One way is keeping a large school of white clouds in the original tanks and let them breed there. These beautifully colored feisty species are found in some parts of Asia. They are a labyrinth fish, which indicates that they require the labyrinth organ for allowing air. Paradise is actually subtropical and can withstand a temperature around 50-71 degree Fahrenheit. You should keep it in mind that the males should not be kept with other males as they are territorial ones. The best is to keep a trio, i.e. a male with two females. The tank should be at least 80 cms in width with floating plants, normal plants, and driftwood. The Paradise fish can naturally get along with cloud mountain minnows. They usually grow up to 10 cms long and have a lifespan of 6 years. Their behavior may vary between individuals. Although they are relatively social, they are active animals. Males are generally aggressive and will compete for the females. They swim typically up to the surface to breathe with the help of labyrinth. Usually, fishes use gills to extract oxygen. The paradise fishes have a colorful texture. You will find black or blue spots across the body of these fishes. The females are generally smaller and grow in size while they contain eggs. The caudal fins are forked, but they can be rounded, too. They are a small and unusual fish. In case you want them to be kept in tanks, you need to recreate an environment similar to that in the wild. They inhabit in the Jiangxi river system of South China. 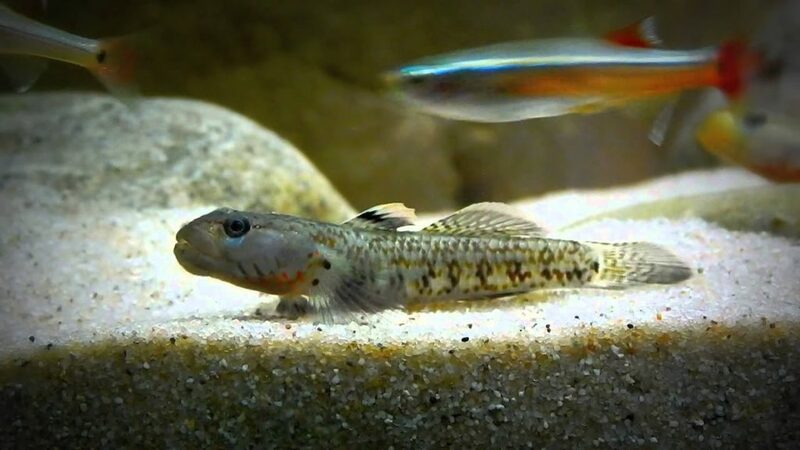 Hillstream loaches are small and unusual fishes. In case you want them to be kept in tanks, you need to recreate an environment similar to that in the wild. Originally inhabiting in the Jiangxi river system of South China, Hillstreams may live up to 8 years and grow up to 8 cms in length. Thrives comfortably in a tank with 45 gallons of water and are generally of peaceful temperament. These bottom feeders usually feed on algae and thrive best in waters where the temperature is 68 to 75 degree Fahrenheit with a pH of about 6.5 to 8. They grow up to 7.5 cms in length. Plants are not a must for the tank, but if you still want to keep plants, you can choose between Fiddleheads and Anubias. The fish can be fed with daphnia, brine shrimp, small blood worms, Cyclops, and butterfly fish. To keep 4 species in a tank, the volume of water should be about 50-60 liters. The bottom substrate of the tank is generally composed of sand, small rocks, gravels and also stones. Since they don’t have scales, the up-keeping of these types of fish becomes demanding as the tank water requires to be changed on a regular basis. The fish generally resides in humid and subtropical areas. The filtration should be set with a powerful, violent natural stream preferably with a capacity of 10 water pumps per hour. These fishes are like the cousins of big crayfish and thrive in an aquarium with 30 liters of water capacity. They are fairly peaceful by temperament and grow up to 2.5 cms. Dwarf crayfish prefers room temperature and a PH of 6.5 to 8 and is therefore a fish that don’t require a heater. They are freshwater crustaceans and resemble the tiny versions of lobsters. Omnivorous by nature, Dwarf crayfishes usually feed on large volumes of frozen blood worms, black mosquito larvae, peas, algae pellets, and homemade gel food. You may add leaf litter to add a constant source of snack. After breeding of dwarf crayfish, the eggs will appear under the female’s black legs and will hatch into tiny copies within 3-4 weeks. They are generally active and run towards each other and are always ready to defend their territories. In case you find an empty shell inside the aquarium, do not panic as your fish haven’t died but just molted. Although you don’t need a heavy filtration, try to allow the crayfish to recycle and remove some particles. 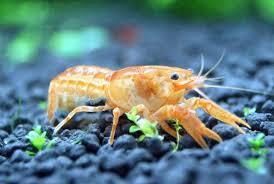 You should not introduce dwarf crayfish into a non-cycled aquarium as they react with ammonia and nitrates. These fishes love to hide inside a shrimp flat. 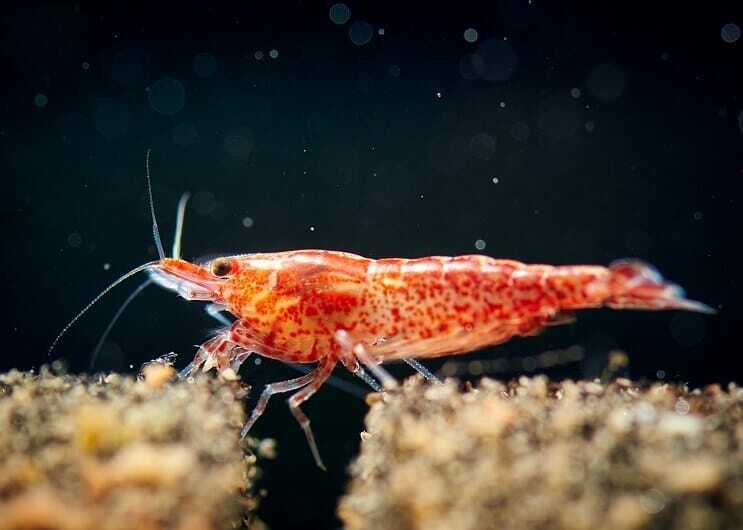 Cherry shrimps are a small dwarf shrimp variety and quite appreciated for their red color and easy care. A temperature of around 57 to 86 degree Fahrenheit would serve best for them. Cherry shrimps are usually kept in groups of five and introduced in a cycled aquarium. They are peaceful by temperament and omnivorous diet-wise. For best result, the pH level is maintained as 6.5 to 8. They grow up to 1.25 cms in length. While in the tank, these fishes will require hiding places with spaces like coconut hides, java moss, and other plants. Generally known for breeding faster as compared to the predators which kill them, Cherry shrimps get along well with peaceful tank mates like Otocinclus, pygmy cories, etc. They come in a variety of colors especially red. In case you want the water temperature to be stable, then the water heater will have to be active. But if your filter is powerful, there are chances of shrimps getting affected by it. Cherry shrimps can be easily turned to food for other species. Well, if you want to add some variety to the tank of fishes, you can introduce vampire shrimp, ghost shrimp, or Amano shrimp. Since they are a scavenger in nature, feeding them is really easy as they can live on anything. Fancy goldfish are the most common type of subtropical fishes kept in aquariums. Known as breeding stars or breeding tubercles, these goldfish variant requires a minimum tank capacity of 20 gallons with water temperature and pH level maintained at about 62 to 71 degree Fahrenheit and 7.2 to 8 respectively. Peaceful and omnivorous by nature, Fancy goldfish grows up to 25 cms in length and are available in countless shapes and sizes. The male fishes grow small white bumps on the pectoral fins and operculum part. Proper filtration will help keep the water conditions under control. You must change 50-60% of the water in the tank per week. 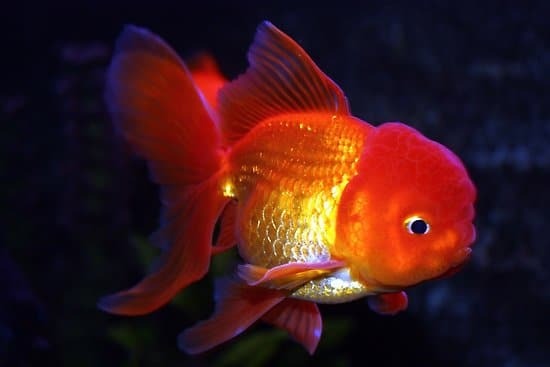 Since Fancy goldfishes are peace loving and slow swimmers, you don’t have to think about other similar minded fishes, but if others are aggressive, it’s always better to keep them away. You would find them dwelling in the middle layers of the tank. During courting, a male will always try to attract a female one but will keep others away when they are tempted by food. Keeping plants in the tank would be ideal as they will give a natural environment to the fish. Also, opting for a filter would help. You may use various plants in the tank, but java fern, hornwort, and Anacharis would best serve the purpose. 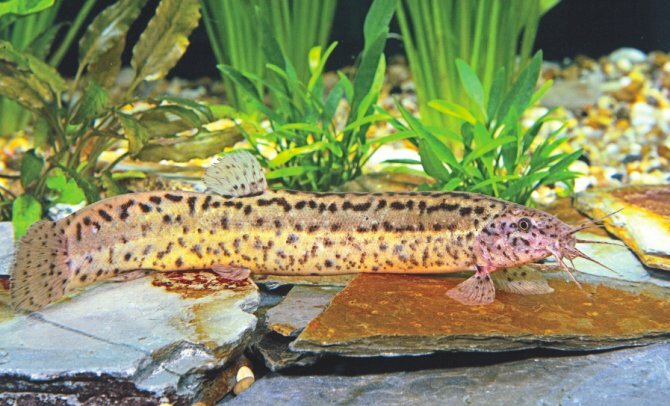 Water loaches are larger species that have the unique ability to detect storms, and thereby react to weather change. The aquariums should be maintained as larger, unheated and escape-proof setup with 120 cms length. These are intriguing eel-shaped loaches and meander through the leaf litters. Being peaceful and hardy, these fishes are ideal for keeping inside the aquarium. The aquarium temperature should be maintained at 55 to 77 degree Fahrenheit. They grow up to 36 inches in length and have a habit of digging water plants. 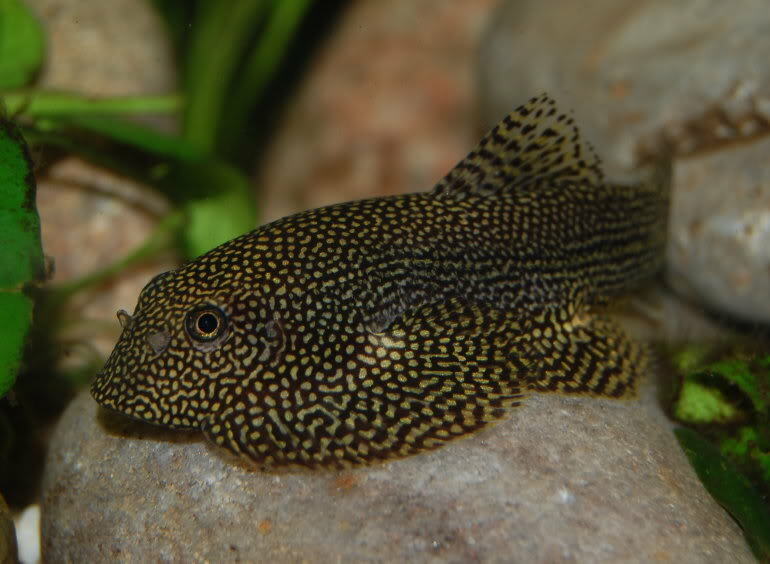 Water loaches could be safely kept with most temperate community fishes. The coloration of fishes varies from yellow, orange to a pinkish color. 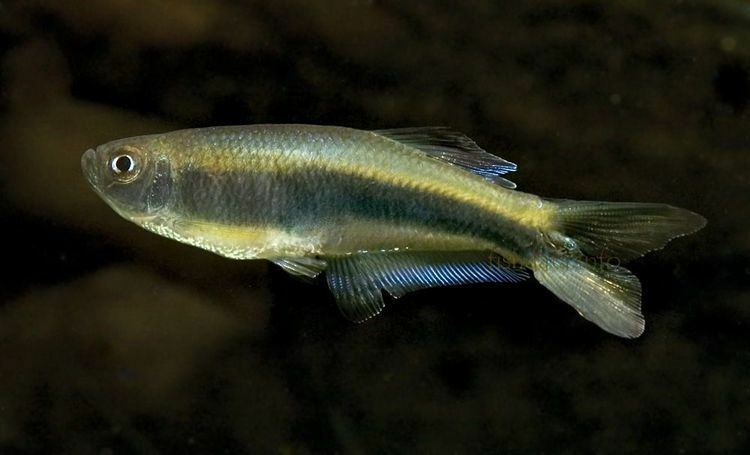 These fishes have an elongated olive colored body that is striped from head to tail. Since it’s hardy by nature, it is a beginner’s dream fish. The loaches are peaceful by nature and can be kept conveniently with other fishes. Since they have an ability to utilize their intestine to derive protective mucus, it prevents them from drying out. The weather loach loves to hide inside rocks or simple things like tubes. Sand and fine gravel can be a good choice for a substratum. Zebra Danios are a spirited and an entertaining freshwater species that exists in a 20-gallon fish tank, and have a peaceful temperament. Omnivorous by diet, they exist in a temperature of 65 to 75 degree Fahrenheit having a pH level of 6.5 to 8. 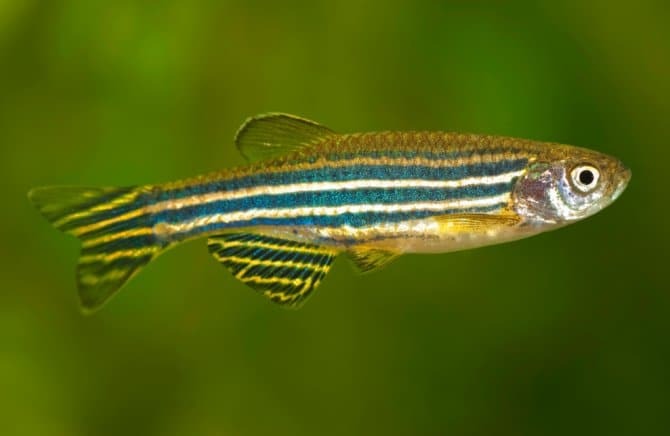 Naturally found in the Ganges of Eastern India, Zebra Danios are curious fishes who love racing around and exploring caves, holes and other parts of the aquarium. As highly social species, they prefer living in shoals of 6 or 8 and grow up to 5 cm in length. As regards mating, these fishes are very particular about breeding pairs. The female will drop 200-800 eggs. Once the fries make an appearance, it’s essential that the parents be separated. You can expect a healthy danio to live till five years. Zebra Danios are inexpensive and easy to raise. The females usually scatter eggs at the bottom of the tank, so they should be separated from the grown-ups. Course gravel might work well as the eggs will fall in between them. You may add a powdered egg to the fry food thereby promoting the health of the fish. They are extremely active and prefer the upper layers of the tank to move around. You may provide them with diffuse lighting and open swimming space, along with the vegetation around the periphery of the habitat. This fish originates from the Borneo, Indonesia, and Sumatra. They grow up to 3 inches in length. They are an active kind of fish and have a lifespan of 6 years. They thrive in an aquarium of 20 gallons water capacity and are a mid dweller in the water tank. Omnivorous by nature, barbs eat brine shrimp, bloodworm, beef heart, and even cooked vegetables. The breeding tank should be soft acidic with fine leaves at the bottom. Barbs have tiger-like vertical stripes on the orange body. They go along peacefully with tank mates like Danios, Loaches, Platys or Catfish. You should provide good lighting and a fine substrate as the fish bed. Keep them in schools of five or more would be best. 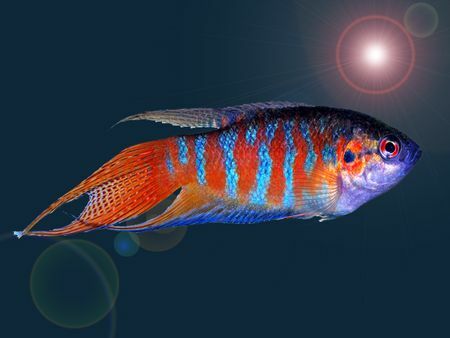 Barbs will possess a striking red color once they attain maturity. They originate in the river beds of South America. They grow up to 2 inches in length and have a lifespan of 4-6 years. The tank size must be 10 gallons. They are of peaceful temperament and omnivorous by nature. They thrive well in a tank temperature of 72 to 78 degree Fahrenheit. The water should have a PH of 6 to 7.5. These fishes move in groups of 6 species. They become ready for reproduction at the age of 6 months. You can put some moss at the bottom of the tank along with some stones for creating a favorable environment. When the female lays transparent 300-500 colorless eggs, it’s time to remove them from the parents. Well, you may feed the fish several times a day but restrict the food amount that could be eaten in 3 minutes or lesser. Please note that if the shoal of fish becomes smaller, their behavior becomes worse. You will find the males hunting for the female ones in the thickly growing tank plants. But when the males lose sight of the females, they tend to rush in the tank searching them. 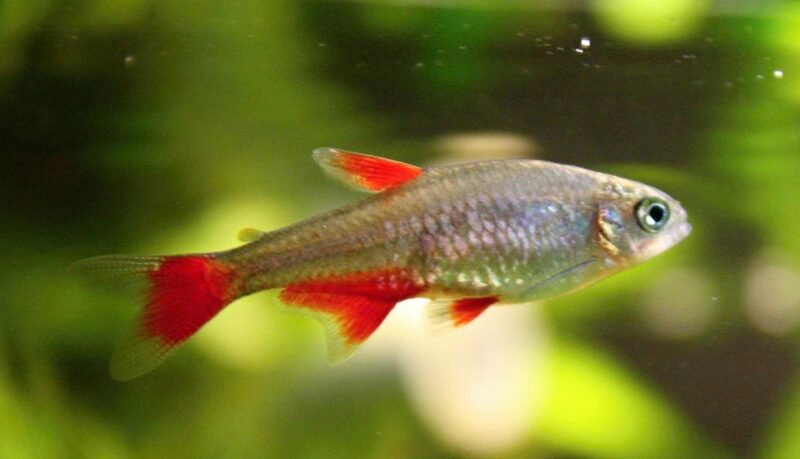 Bloodfin tetra is one of the most commonly available fishes that can be easily raised in a coldwater aquarium. They are attractive, and you may keep them without any difficulty. These fishes live in the benthopelagic freshwater environment. It’s easy to care and most suitable for community tanks. They have a maximum length of 3.3 cms and prefer to stay in the aquarium temperature of 64 to 73 degree Fahrenheit. 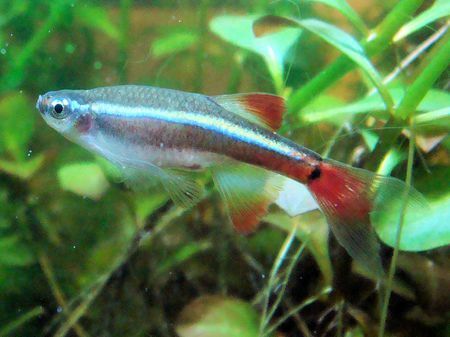 Usually, non-aggressive by nature, these tetras accept frozen or dry foods. Breeding is not difficult for this species. The aquarium bred specimen is opaque and has lesser prominent markings on the body. The males have modified breathing organ which makes them sound during breeding. 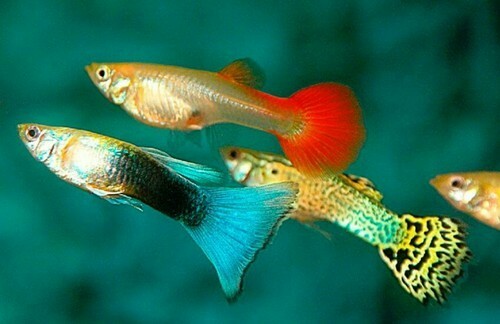 Guppies are easy to care and have a peaceful temperament and grow up to 2.4 inches in length. These fishes thrive in a tank with a minimum of 5 gallons of water capacity and can tolerate a pH level of 5.5 to 8.5. The females have grey stripes, and the rear part is vividly colored. You may decorate the tank with live plants, rocks, and a substrate. You can feed them with frozen foods like shrimp and bloodworm. Vegetables like lettuce, peas, and cucumber can also be considered. However, it’s better if you can alter between flake food and frozen food. These fishes are readily available across various aquariums. For raising them properly, they don’t require a larger tank, but a capacity of 15 gallons is quite good for them. The temperature of the fish tank is maintained at around 60 to 79 degree Fahrenheit. Gobies are generally found in China and Vietnam. You may set up a food colony with blackworms. They don’t respond to commercial pellet foods. Well, for each of the cold water pet fish mentioned above, it’s not mandatory to maintain a warm environment in the water tank. They are not sensitive types and need easy maintenance for their life. Remember, every cold water fish can survive well in ponds. They tend to grow at a slower pace and also live for a longer time compared to those fishes which are reared in warm water and grow faster. But you need to be very careful while choosing fishes for your aquarium. If they are not compatible, they will lose their immune system and be susceptible to ill health and other diseases.